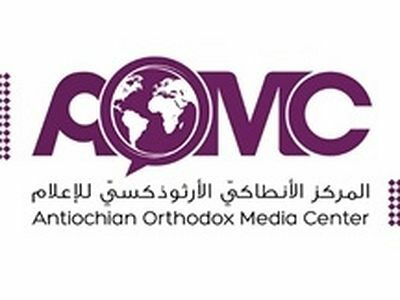 This is from a series of videos Metropolitan Siluan (Muci) of Buenos Aires has done for the Patriarchate of Antioch's Facebook page in Arabic and Spanish, explaining Antioch's position with regard to the council on Crete. The Spanish original can be seen here. In order for the council to exist, it is necessary first of all to convoke the council, to have an order of the day, an agenda for the council. Who is able to do this? The meeting of the primates of the Orthodox churches. A meeting was held in Geneva in January 2016, when the primates of all the Orthodox churches met to see if it is possible to convoke the council. 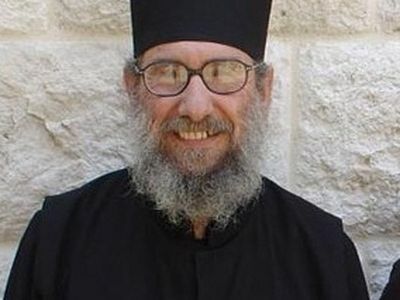 The text of that meeting's decision was not signed by the Patriarchate of Antioch because we had two fundamental issues to which we objected, with reason. The first issue is that the council's internal rules needed an essential clarification. 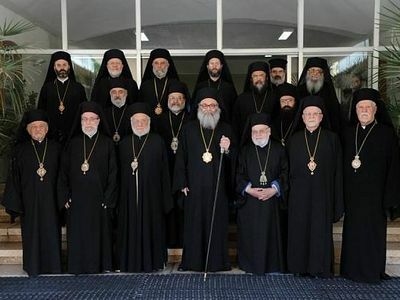 We would like, as a patriarchate, to ensure that the guiding theme of the council, the unity of the Orthodox churches, the manifestation of this unity, be made concrete within the text of the council's rules, in three aspects: First of all, in the convocation of all the churches, in the participation of all the churches, and in the unanimity of the decisions that are taken-- that were going to be taken-- by the council on the part of the fourteen Orthodox churches. No one should be absent from these three moments: from the convocation, from participation, and from taking decisions unanimously. This is what we would like to be inscribed within the rules. It was not done in this way. The other objection that we had was within the text of the decision. It is that in the agenda there is one topic out of the six listed that does not present the required unanimity of all the churches. One of the documents did not have the signature of two of the fourteen churches. Moreover, the text of the decision of he primates talks about the diaspora with an assessment that was very brief, for which we would like to do a more precise, timelier job on the issue of the diaspora. Therefore, the representatives of our patriarchate at that meeting were unable to sign the text of the decision. This decision is very fundamental. In a technical and legal sense, it is the decision that allows the council to be convoked, that allows one to know what is agenda to be treated and, finally, how the council's proceedings will be organized during the days in which it will take place. In the text of the decision taken by the Holy Synod of Antioch on June 6, there were other issues that we would like to be a a part of the council's agenda, such as for example the topic of unifying the date of Pascha, the topic of the ecclesiastical calendar of the Orthodox Church. This topic, unfortunately, is not part of the council's agenda. Another important topic, which had been discussed in the preparatory stage but was not realized, is to evaluate the topic of dialogues between Christians, between the Christian churches-- the Orthodox Church, the Roman Catholic Church, the Protestant churches-- in order to determine what state these dialogues are in. Such an assessment would to some degree allow an approach to relations with other Christians in the document included on the council's agenda. The Church of Antioch had as a paramount objective that unanimity be explicit, be clear. Why this insistence by the Orthodox Church on the issue of the convocation, participation, and unanimity in the decisions? Because there is a golden rule that, from the beginning of the work on the idea of the council, for more than fifty years, has been respected. That is to say, we want to manifest the unity of the Orthodox, the unity of all the Orthodox churches in certain aspects of our life. In faith, we are one, but we needed to bear witness to unity of other aspects of what we are living today. It is in order to preserve this criterion that was followed from the beginning that the Church of Antioch wanted, on the one hand, to insist on the theme of unanimity in those three points-- the convocation, participation, and making decisions-- and, on the other hand, to be able to include in the council's agenda topics that are important for us in our pastoral practice. For us, this is of paramount importance. These are essentially the reasons the Holy Synod wanted to transmit to the other churches and which prevented signing the decision taken by the primates of the Orthodox primates in Geneva this past January. St. Basil lamented the situation of the Church in his day and saw it as the very reason that the frequency of Councils had declined. For St. Basil “estrangements” do happen between people, and the purpose of the Council is to help the disputants in face to face relationships to love one another. He didn’t see conflict as a reason not to have a Council, but a prime reason to have the Council.